Transfers – Move. Run. Sports. The longest drawn out transfer ever? Well possibly. I think everyone (but Arsenal fans) are happy that this has eventually been sorted out as it has been going on for what feels like years now. With all the speculation and talk about it. The main thing that annoys me about it all is why did Cesc leave in the first place if he wanted to go back so much in the end? Just doesn’t make much sense to me. He had the medical, signed a 5-year contract and was unveiled yesterday in front of 30,000 Barca fans. But annoyed Arsenal fans one last time by kissing the badge during the unveiling. 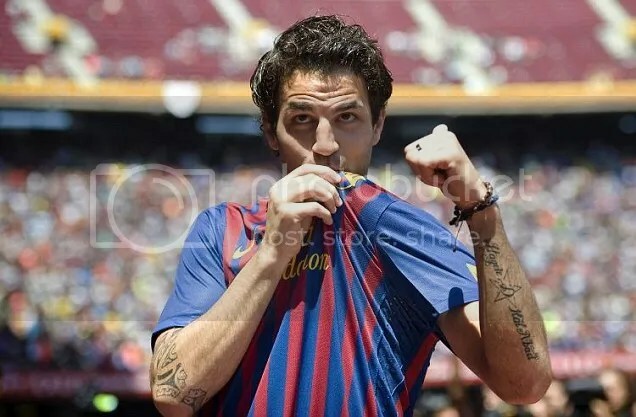 The main thing to watch now is when exactly Fabregas will be able to break into the Barca team and how many games he will actually play this season. We all know how good the midfield is! Arsenal in the mean time have their Champions League qualifier tonight!